There’s no tiptoeing around it–you can really work up a thirst ice skating! Keep your guests comfortable when you give them Skating Party Drink Tickets at your next event. 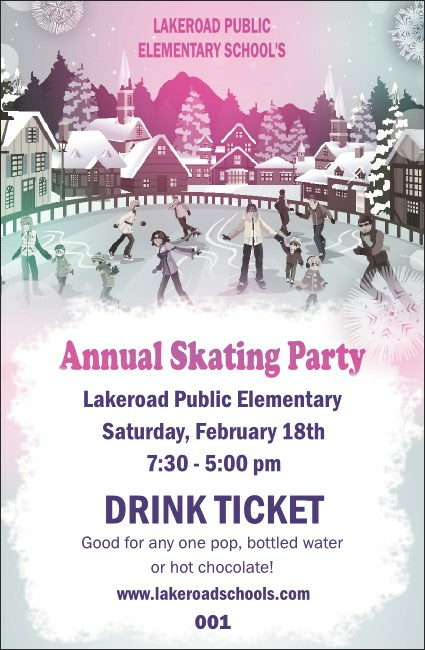 Each ticket features skaters of all ages, bundled up and having fun on the ice, with snow-covered rooftops in the background and delicate snowflakes falling all around. Check out hundreds of unique Event Kits at TicketPrinting.com.